Outdoor family activities: Your trampoline and more, part 2. Summer has officially ended! Although we might not feel it much in Australia, we should be experiencing a few degrees of relief from the scorcher of a summer that we just had. Take advantage of some of that more forgiving weather, and push the family outdoors for some active fun! Last week, we spoke about using your trampoline to achieve this, as well as getting back into greener nature by using your garden as a springboard to hiking. Today, we want to move from plants and trees to creeks and seas! That's the beauty of Australia; even when it isn't summer, it's almost never too cold to forego your pool or local swimming hole. Just because summer is over, doesn't mean that you should take off the Vuly Mister accessory from your trampoline. 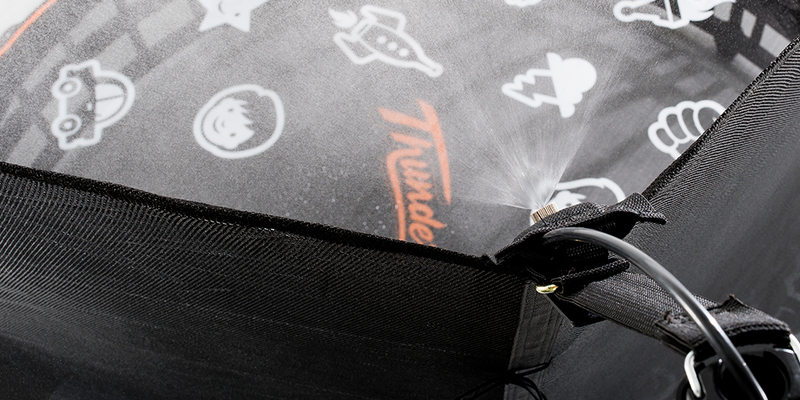 Just-out-of-summer weather is the best time to use it; the water droplets will be that much cooler and refreshing! It may not be the life-saver it was during summer, but we guarantee that your Mister will get them re-energised on a lazy Sunday. Even if you have a pool, you can still take the kids to your a serene freshwater dam, river or lake setting nearby. Larger bodies of water, which are flat and waveless, are fantastic for a host of water activities that the kids will jump right into—like paddle boarding and kayaking. Bring some inflatable water games for a touch of healthy competition! Remember: Water is a harsh reflector of UV light. Be sure to apply extra sunscreen to faces, necks and chests to avoid any nasty burns. We’re blessed with some of the world’s most stunning coastlines; what better place to get the family out and about than your local beach? Pack your favourite sporting activity (beach volleyball, cricket, badminton and footy are some of ours), plenty of hats and sunscreen, as well as refreshments for a half-time break. Once everyone is hot and sweaty, a refreshing dip is only metres away. Avoid the hotter hours of the day by planning a 'beach brekky’—a round of sandy sport, followed by a low-key breakfast by the water. It's a winning combination that can really enliven an otherwise boring weekend. Sometimes we can get caught up in our own fun and forget about our best friends! If you have pets, bring them along to your planned days out. 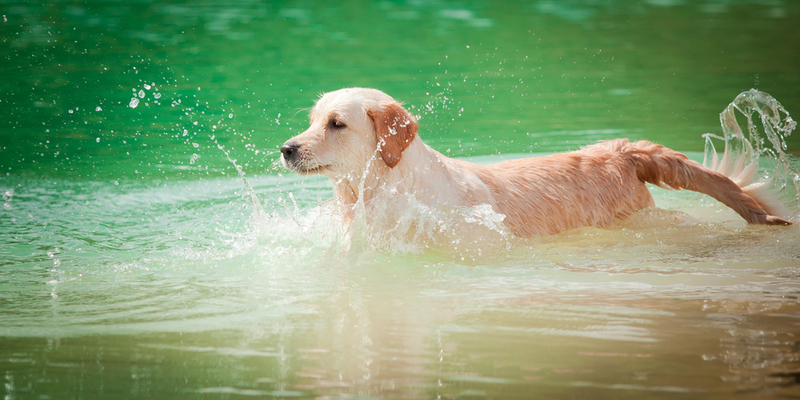 Dogs love swimming and water—even more so if you can find sticks for them to fetch. The milder temperature means that furrier dogs will be able to get more active and that hot surfaces will be less of a problem for little paws. Just remember to keep a close eye on them during the day, like you would for anyone that you love. If your neighbours or other family members has a dog, bring them along. Dogs have more fun when others around, and the more there are for kids to play with, the happier they'll be too! What are your plans for when the temperature starts to drop a little? Tell us about how you're going to get out of the house on the weekend!